On Easter eve we enjoyed the evening with good friends and good food. 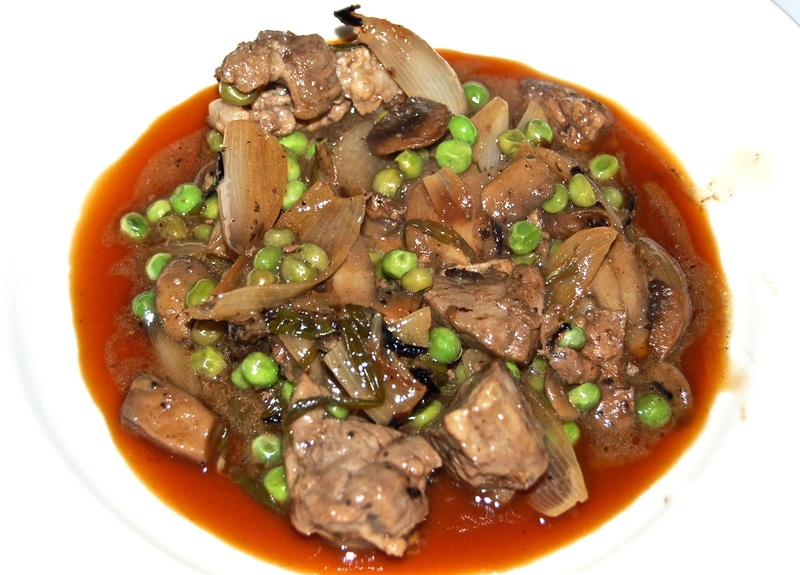 The Lamb Stew was a variation of the Veal Stew we prepared a week or so ago. The cubed Leg of Lamb worked out as well as the Veal, matter of fact Lamb is more tender and tastier. Dinner was accompanied by a delicious Gratin Dauphinois, prepared by Cathie. Excellent Wine rounded out the dinner and the evening. 1. Put a 12-inch skillet over high heat, a minute later, add EVOO and Butter. Add the Meat, in one layer (you may have to cook in batches). Cook, undisturbed, until the meat is nicely browned on the bottom, about 5 minutes. 2. Add Tarragon, Onions & Salt & Pepper. Cook, stirring occasionally, until Onions soften & any Meat stuck to bottom of pan is released, about 5 minutes. 3. Add the Wine, stir, reduce heat to low, & cover. Cook about 12 to 15 minutes, or until the Lamb is tender. 4. Uncover, add Peas & raise the heat to medium. Cook about 3 minutes, until the Peas are done. Adjust seasoning, garnish & serve.